Make Flower for Last-Minute Mother’s Day Gift! 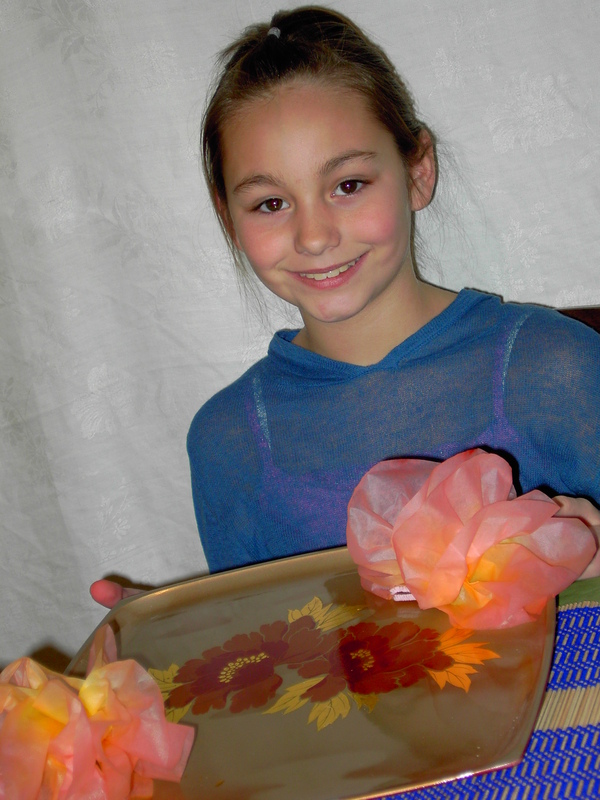 Coffee filter flowers are a fun and quick gift to make for Mothers Day! This craft is quick, inexpensive, pretty –and fun to make! Young children may need a little help but they will love to present these flowers to a loved one! The world’s largest flower– Rafflesia Arnoldii– is indigenous to Indonesia, hence I included it in my book, Recipe and Craft Guide to Indonesia. This flower also stinks like rotting flesh but nothing about this craft smells! Have fun making this together! 1. Lay coffee filters on flat surface. 2. Fold filters accordion style in one inch pleats. 3. Fold in half and twist pipe cleaner around middle (Depending on size of filters, you may want to use wire cutters to halve the pipe cleaner). 4. 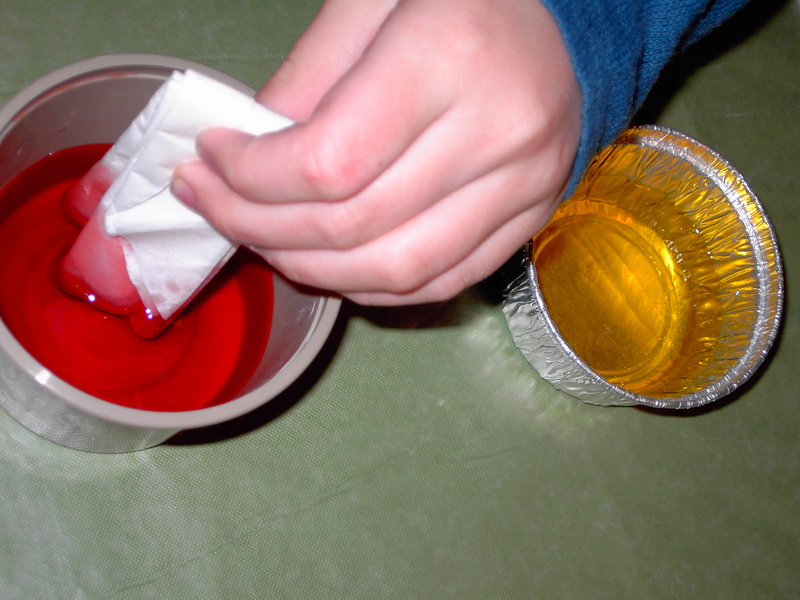 Put 1/2 cup water in a bowl; add 6 -10 drops of food coloring. Stir. 5. With filters still folded against each other, stick the ends in the food coloring and allow saturating for a few minutes. Take out and dry. 6. Mix 1/4 cup water in a bowl with 6-10 drops of food coloring. Stick the folded center into the mixture. Allow to saturate until color meets color on ends. 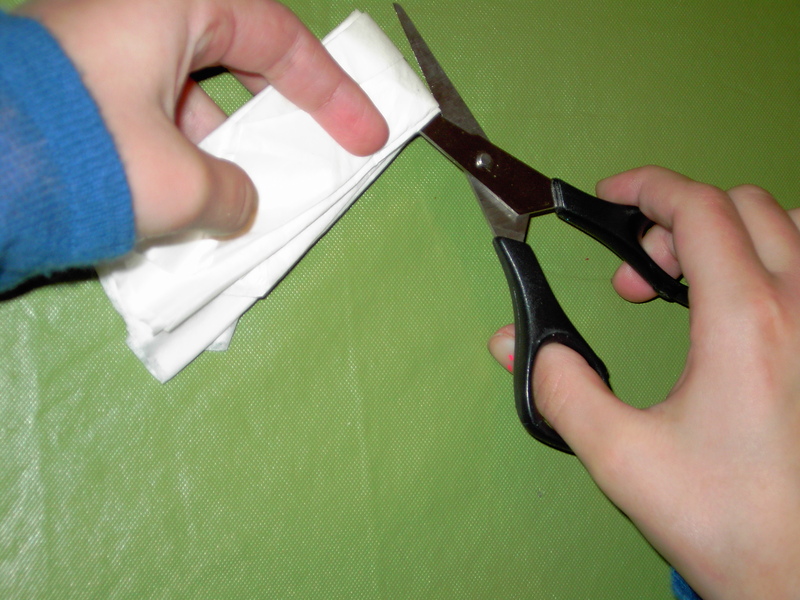 Remove and allow drying, leaving the pleats folded. 7. Separate layers on both sides of the pipe cleaner. Your new flower may not be as large as the largest flower in the world, the rafflesia arnoldi found in Indonesia, but it is full of beauty! Southern Wells Elementary School Hosts Medusa! Medusa Visits Bluffton Elementary School!